All Project Managers end up managing project teams in some shape or form. Of course this comes in many different guise. You may well find yourself managing project teams which are small, large, matrix managed, offshore, geographically distinct, 3rd party supplier or in most cases on larger projects, a combination of a number of these. Therefore there is no simple formula for managing project teams. Yes there are certain techniques you must follow, but you need to be aware that each project team will need a certain amount of refinement depending on what mix of resources you end up managing. Have a clear project communication plan which ensures that all the project team know how, and when they are going to be kept up-to-date with progress on the project. Be clear about your role and that you are in charge of the project. NB This is not the time to micro-manage but to demonstrate that you are a leader and problem solver who will take responsibility when the chips are down. The timeframes are ridiculously tight. How do you propose to deal with change requests and scope creep? To hit these timeframe we wil have absolutely no contingency. Are the Project Sponsors aware of the project risks and the large budget for a project which will be involved in meeting these timeframes? 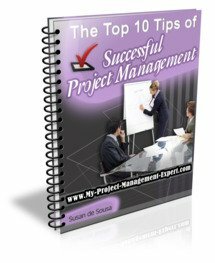 Essentially what the team need to know is that you will not be weak project manager. Instead you will be someone who will stand up for the project and team's best interests. By this I mean that you will not be someone who under pressure from Project Sponsors will agree to deliver additional functionality which puts huge pressure on team resources forcing them to work weekends. "Do you really have to attend your 5 year olds birthday party? Wouldn't you rather be working on Saturday instead?". It should only be there as part of your project contingency plan never included as part of normal working. A fatal trap newbie project managers tend to fall into is to try to be too friendly with their project team. Yes it might be your first project, but it won't for most of the resources working on it. Therefore do not invite everyone out for drinks so they can bond. It looks a really desperate especially when few people turn up. Don't forget that whilst this project may be really important to you, this will be just one of many projects the team resources will be working on. As far as they are concerned this is nothing particularly special. so keep the drinks until the end of the project when you and the team have actually delivered something the project sponsors are happy with.